The government of Ethiopia says it will close all 27 refugee camps in its territory over the next 10 years and integrate residents into local communities. “There will be a gradual transition from a camp-based protection model to supporting refugees directly within host communities,” Zeynu Jemal, deputy director of the Administration for Refugees and Returnees Affairs (ARRA), told VOA’s Horn of Africa Service. Ethiopia hosts more refugees than all but one other country in Africa, according to the United Nations refugee agency (UNHCR). More than 850,000 refugees from South Sudan, Somalia, Yemen and Eritrea live in camps jointly run by the U.N. and the government. In September 2016, European leaders pledged to support the creation of jobs for refugees in sub-Saharan Africa with the aim of curbing migration to Europe. Ethiopia was assured of a $500 million aid and loan package from the European Investment Bank in exchange for providing work permits to refugees. Ethiopian Prime Minister Hailemariam Desalegn has told European officials that his country will create 30,000 jobs for refugees and allow them to work in newly established industrial parks. Ethiopia itself faces enormous unemployment rates with nearly a fourth of its predominantly young population out of work. The Horn of Africa nation is hoping to capitalize on refugee job creation pacts where the international community helps build opportunities both for its citizens and refugee population. In doing so Ethiopia has secured much-needed capital for its projects and hopes to create at least 60,000 jobs for its citizens, in addition to the jobs for refugees. The European Union is on board with the plan and has begun funneling funds to build infrastructure and economic activities in Ethiopia. 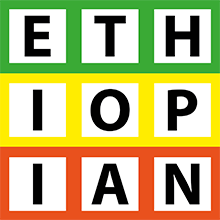 “The pledges Ethiopia made and the actions it is taking today are exemplary and inspire many African states,” said Daniel Endres, a UNHCR official. U.S. Ambassador to Ethiopia Michael Rayon expressed his government’s willingness to support Ethiopia and the UNHCR in their efforts to implement the project.